Operators are increasingly turning to VoLTE and WiFi Calling (VoWiFi) to protect their lucrative voice business against the ever increasing rise of “free” over the top (OTT) applications. The challenges they are facing relate to various deployment phases, including network rollout, beta trials leading to commercial deployments and network optimization with focus on coverage, signaling, audio quality and handovers. 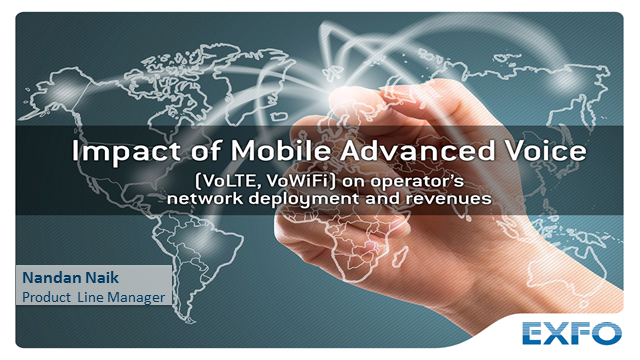 How have VoLTE and VoWiFi deployment strategies evolved from work process automation challenges faced by operators in the field? Register for this webinar to learn how you can optimize quality of service and experience by continuously monitoring, assuring, segmenting and troubleshooting VoLTE and VoWiFi deployments via Smart-device probes.